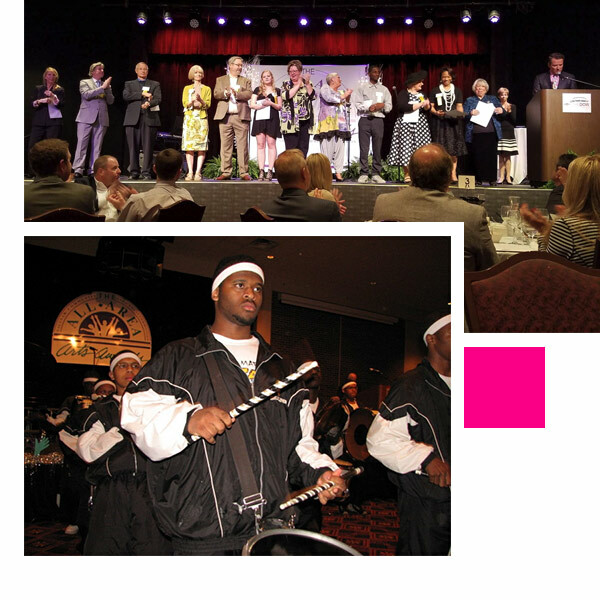 Each May, Saginaw’s arts community, business and civic leaders gather at the annual gala awards ceremony and reception to celebrate the importance of arts and culture to Saginaw and the Great Lakes Bay Region, and to acknowledge the people and organizations which make it all possible. Please consider submitting an All Area Arts Award nomination for an individual, non-profit or business/corporation. Your nominee must have achieved local, state, or national prominence in the arts; provided leadership in arts education; or demonstrated a commitment to improving the quality of life in Saginaw County through support for the arts. Nominees must have been born or resided in Saginaw County and be living at the time of nomination. No seated SAEC Commissioner is eligible for the award. All Area Arts Awards are presented in May at the annual awards ceremony. Please plan on joining us for this gala celebration of the arts. Call 989.759.1363, ext. 223 for information and to make reservations.